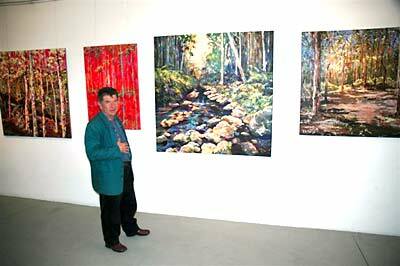 I now choose to concentrate on my paintings, and relished the opportunity during August 2005 to successfully exhibit for the first time in Sydney at the Bondi Pavilion Community and Cultural Centre Gallery. 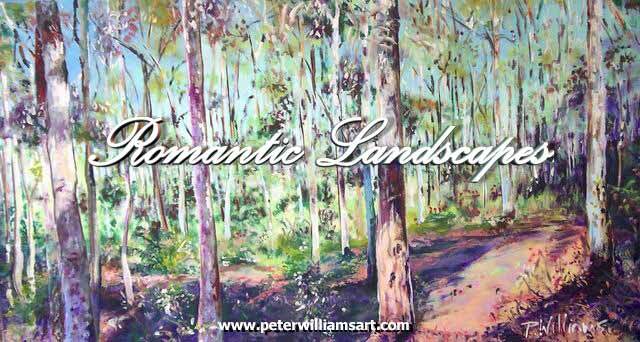 My name is Peter Williams, an Australian artist having drawn and painted since I was a small boy. 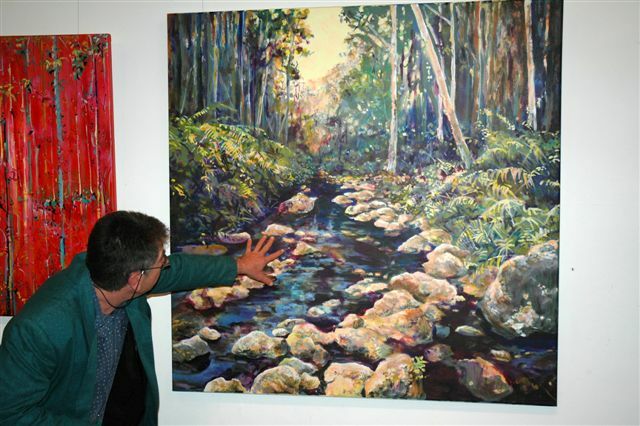 I completed my formal art training in Melbourne in the 70's and taught art for five years in High Schools. 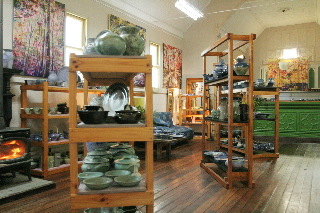 I live at Mogo, an historical village on the South Coast of N.S.W. just south of Batemans Bay. 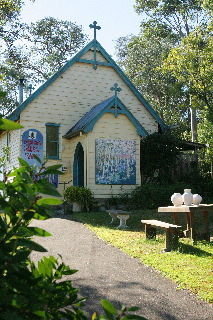 In Mogo's 100 year old St. Mary's Catholic Church in 1980 my wife and I established a gallery selling my own pottery and paintings. 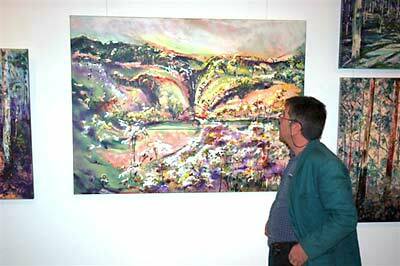 My use of colour and lots of it, has allowed me to paint with a bold scale and expression capturing a `slice' of the landscape rather than large sweeping vistas. 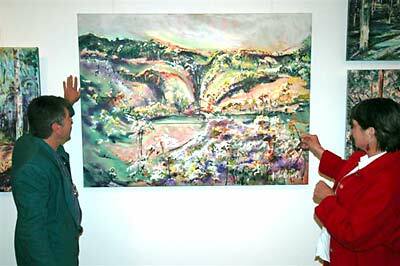 The influence of the French Impressionist painters together with Australian painters such as Fred Williams, Lloyd Reese, William Robertson and Brett Whitely has encouraged my style of painting. 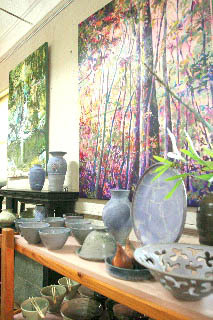 My attitude to colour is that if it is there in your collection of paints, try and find some way of using it, celebrate its power and joy. 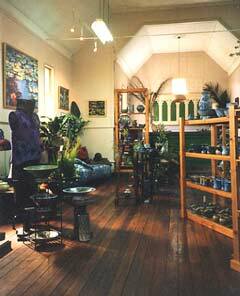 My wife and I established the gallery in 1980 at Mogo, an historical gold mining village on the South Coast of N.S.W. 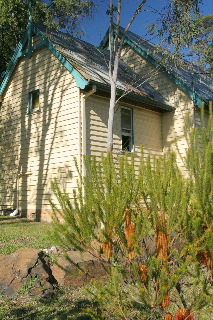 just south of Batemans Bay, Australia. 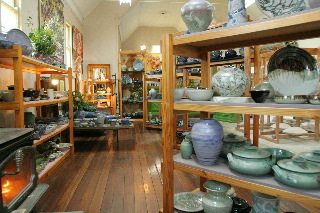 Located in Mogo's 100 year old St. Mary's Catholic Church, a quaint hardwood timber church built on hand quarried granite block foundations, we have been producing & displaying our pottery & paintings successfully for over 20 years.